Over the past few decades, Montgomery County has seen a steady rise in the number of public art pieces, bringing artistry and creativity to spaces large and small. 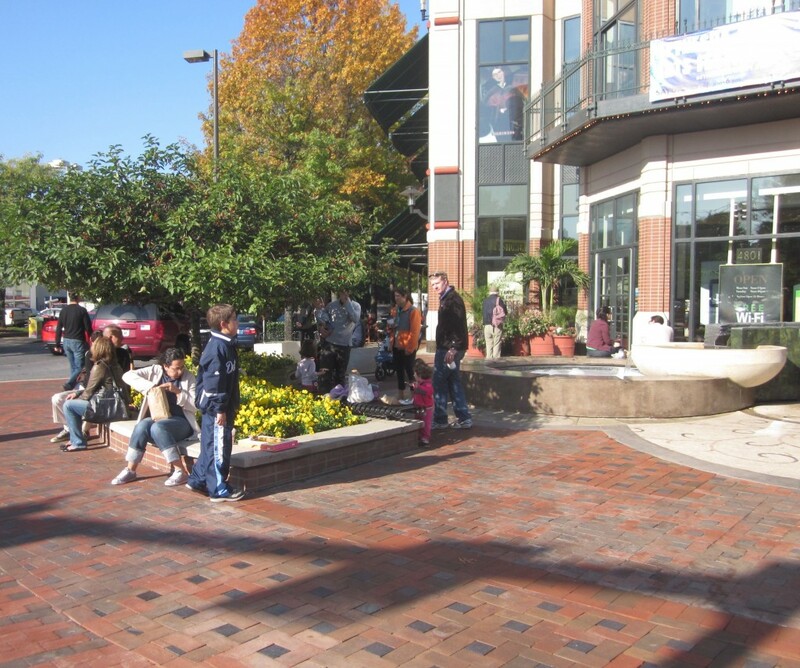 We see sculptures, art-enhanced plazas, benches and more in schools, libraries, parks, retail centers and office buildings. The collection provides a set of assets that contribute an extra appeal to the look and feel of our communities. The Planning Department helps build the collection by encouraging developers to contribute public art in exchange for density. 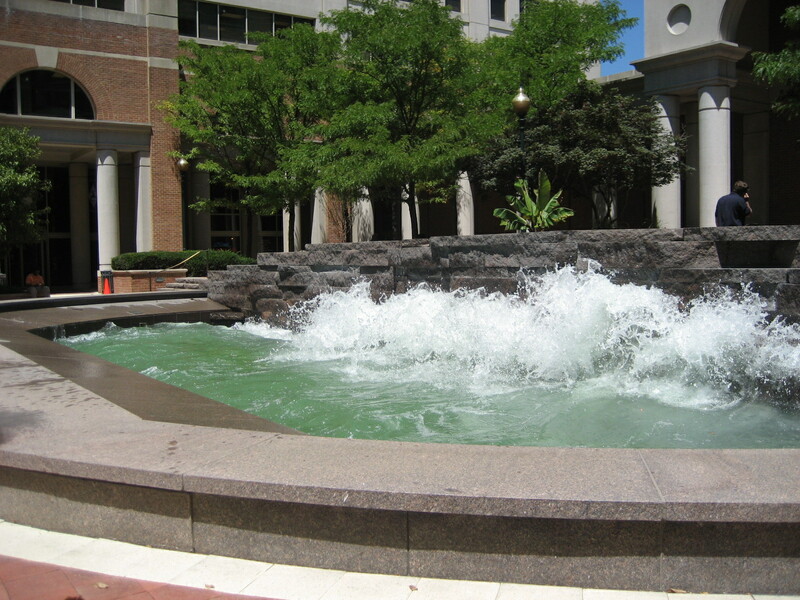 Thus, we have an outdoor pool with real waves correlated to the tides outside the National Oceanic and Atmospheric Administration building in Silver Spring. An outstretched palm with birds at a busy Silver Spring intersection. Everyone has an opinion about the new fountain at what people consider the “town square” of Bethesda–the plaza in front of Barnes & Noble Bookstore. As reported online in the Bethesda Patch most of the commenters think it was at best unecessary and at worst, a scheme to keep people from sitting out in front of the store. You can chime in as well by voting online. Unfortunately, out of 209 votes so far, 121 people (57%) don’t like it. Sure, part of the reason we don’t use Metro is because it’s a long walk from home or you’ve got to pick up the kids after school or you’re just not that interested in the cell phone social life of your seatmate. But wouldn’t mass transit be a little more appealing if it felt like your commute was a scene from a very cool Japanese spy movie? 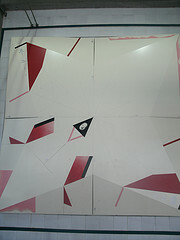 Seattle’s Downtown Transit Tunnel was designed as a collaborative project between the project consultant (Parson Brinckerhoff Quade and Douglas Inc.), the architecture subconsultant (TRA), and 25 artists. The team created what they have termed a distinct “art-itecture” for each station representative of the neighborhood it serves. The result is a fantastic model for the stations along the proposed Purple Line and the Corridor Cities Transitway. 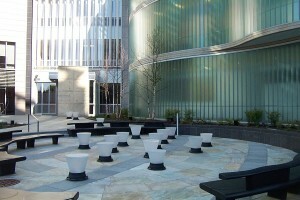 Several sculptural seating elements were created in the plaza space at the new United Therapeutics campus in Silver Spring (corner of Cameron and Spring) and I’ve only begun investigating their interactive potential. Scattered throughout the space and into the sidewalk, these 17- 23-inch poly-resin pieces are shaped like inverted cones stuck into the ground. Several have the symbols of elements, others have designs, most are undecorated.